Choose 'Online + Physical Materials' option to get 20 high-quality Teacher Guides and DVDs shipped to you! Check out a character trait lesson before you buy! 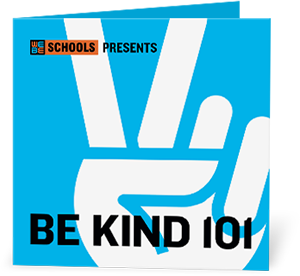 BE KIND 101 is designed to get your kids thinking and talking about the role kindness plays in the choices we make where the rubber meets the road. To get students listening, thinking and internalizing how the concept of Kindness can bring good things in their life. To give students a voice, empowering their opinions, and facilitating a deeper understanding and appreciation of classmate and teacher differences. Using Kindness-themed art, imagery, and text, students can create and express their personalized interests in a positive way. Students can then print out their designs for free. All lessons come with use of the WeBeSchools website. Here you have complete digital access from school, class, at home, and on mobile devices to all character trait lesson media, teacher guides, activities, and overall lesson and help information. Includes any 1 character trait lesson of your choice. BE RESPONSIBLE 101 is designed to get your kids thinking and talking about how taking responsible actions can help them navigate a world full of crossroads. BE RESPECTFUL 101 is designed to get your kids thinking and talking about how respect can neutralize a bad situation. BE CONNECTED 101 is designed to get your kids thinking and talking about the value of getting involved within the school community. To get students listening, thinking and internalizing how the concept of Kindness, Responsibility, Respect or Connectedness can bring good things in their life. Using Kindness-, Responsibility-, Respect-, or Connectedness-themed art, imagery, and text, students can create and express their personalized interests in a positive way. Students can then print out their designs for free. We're here to help! WeBeSchools staff can always be contacted to answer questions and resolve issues quickly. If evenings or weekends, WeBeSchools staff will respond within 24 hours. Add $50 to get 20 high-quality Teacher Guides and DVDs shipped to you! Includes all 4 character trait lessons. Our Standard and School Pride programs come with additional no-prep activities published periodically for each character trait lesson. Simply download and begin. Get one-on-one program training via phone or video chat with a WeBeSchools staff member. Add $75 to get 20 high-quality Teacher Guides and DVDs shipped to you individually for each lesson! Includes all 4 character trait lessons, customized to your school. A fun bonus Remix Channel that lets your students create positive designs that reflect their own sense of school pride. This channel is fully customized using your school's name and colors, as well as your school mascot's name and custom mascot logo. Get a personalized WeBeSchools site and access it with your unique school-name URL address (yourschoolname.webeschools.com). For a current example, check out Oxford Middle School's custom WeBeSchools site here. 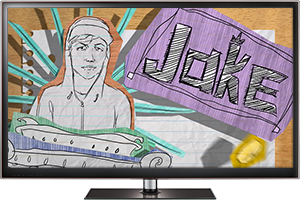 Each lesson's Remix Channel includes your school's name as part of the custom-designed artwork. Your custom lessons come with use of your own custom designed and school-branded WeBeSchools website. Here you have complete digital access from school, class, at home, and on mobile devices to all character trait lesson media, teacher guides, activities, and overall lesson and help information. Add $100 to get 20 high-quality Teacher Guides and DVDs shipped to you individually for each lesson! Check out a sample character trait lesson before you buy! 1. Watch the BE KIND 101 Situation Animation: JAKE & DANTE with your class. 2. Empower voices, celebrate differences, and realize the good things that await by leading the classroom discussion with the no-prep BE KIND 101 Teacher Guide. 3. 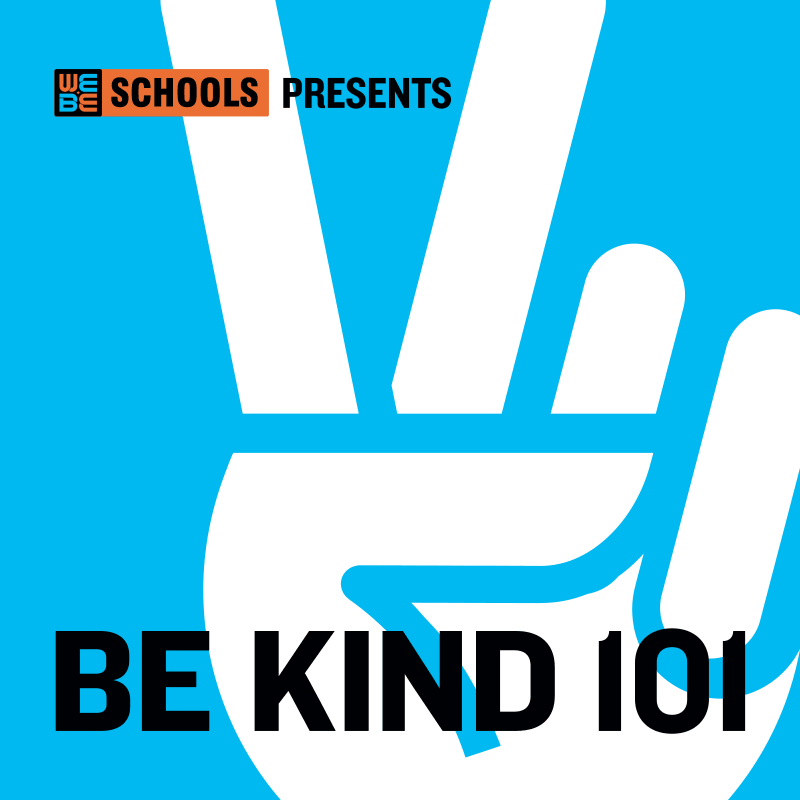 Let students creatively uncover and design a unique personal meaning for Kindness that then can be discussed, shared, printed, and celebrated with the BE KIND 101 Remix Channel. 1. Watch the BE RESPONSIBLE 101 Situation Animation: GABRIELLA & MAKAYLA with your class. 2. Empower voices, celebrate differences, and realize the good things that await by leading the classroom discussion with the no-prep BE RESPONSIBLE 101 Teacher Guide. 3. Let students creatively uncover and design a unique personal meaning for Responsibility that then can be discussed, shared, printed, and celebrated with the BE RESPONSIBLE 101 Remix Channel. 1. Watch the BE RESPECTFUL 101 Situation Animation: CASSIE & VICTOR with your class. 2. Empower voices, celebrate differences, and realize the good things that await by leading the classroom discussion with the no-prep BE RESPECTFUL 101 Teacher Guide. 3. 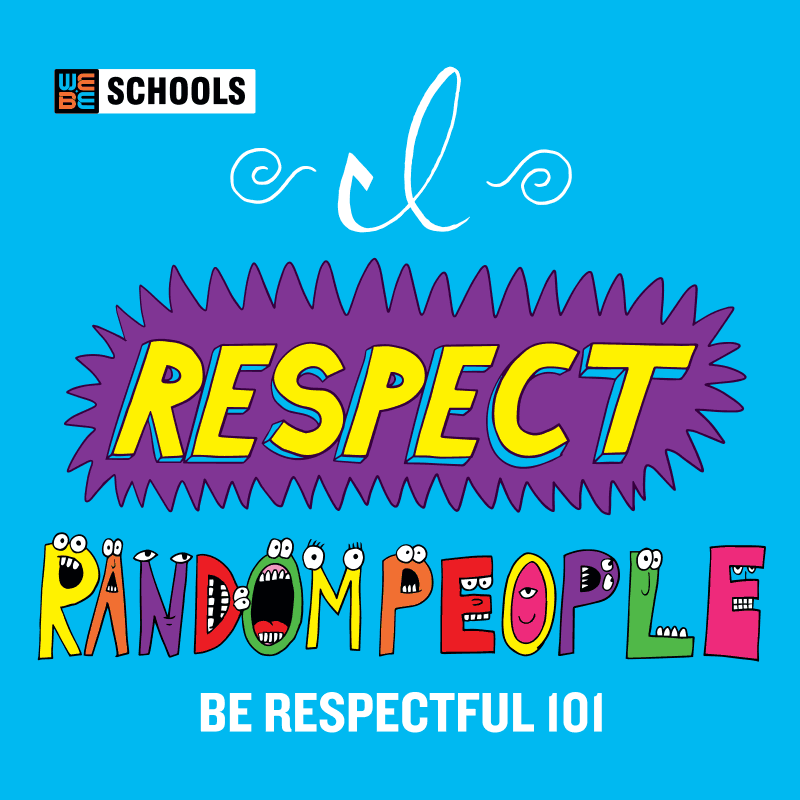 Let students creatively uncover and design a unique personal meaning for Respect that then can be discussed, shared, printed, and celebrated with the BE RESPECTFUL 101 Remix Channel. 1. Watch the BE CONNECTED 101 Situation Animation: MITCH & MRS. THOMPSON with your class. 2. Empower voices, celebrate differences, and realize the good things that await by leading the classroom discussion with the no-prep BE CONNECTED 101 Teacher Guide. 3. Let students creatively uncover and design a unique personal meaning for Connectedness that then can be discussed, shared, printed, and celebrated with the BE CONNECTED 101 Remix Channel.